The latest imports from across The Pond are addictive, strangely beguiling reality auction shows in which contestants bid for the unseen contents of a storage unit or garage in the hope of finding valuable, hidden treasure! The garages or storage units featured in the programmes are ones where people have fallen behind with their rent or have simply been abandoned or forgotten. Contestants make a bid and the highest bidder wins the contents of the garage. The programme then follows the lucky, or hapless, bidders as they discover exactly what they have purchased. 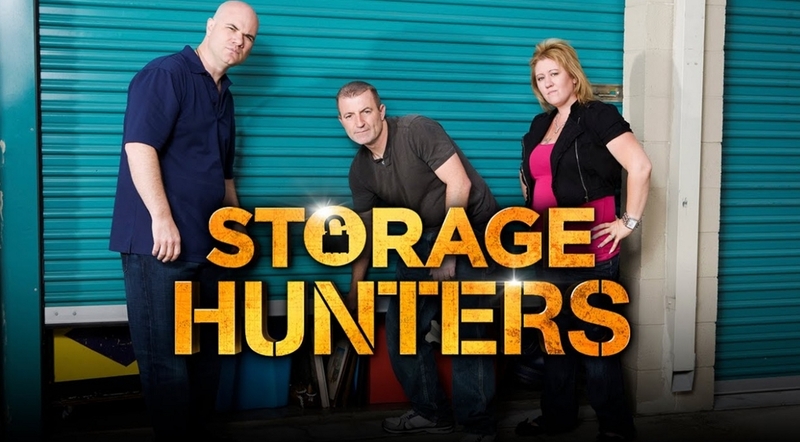 Two of the most popular shows to have made it to our screens from the US are Storage Wars on the History Channel and Storage Hunters on Dave. In the States both have provided plenty of drama and hilarity over the years with some genuinely fascinating finds amongst the rubbish. One unfortunate contestant discovered his garage contained a nest of albino Burmese Pythons which were being bred to sell as exotic pets. More fortunate was the contestant who bid $100 and discovered he had purchased the original Lotus Esprit submarine car which Roger Moore drove in the Bond movie The Spy Who Loved Me. He went on to sell it for more than $1 million. Somebody else discovered they had purchased a human leg but a police investigation revealed that the limb was not the result of a grisly murder but belonged to a gentleman who had lost it in a flying accident and kept it in his garage (which he had completely forgotten about) so it could be buried with him when died! Less gruesome but equally as shocking was the discovery of $24,000 in cash which was uncovered in a garage which the contestant had bid $400 for. Unlikely as you are to make such discoveries in your own garage it is still surprising the things you can unearth during a good clear out: family heirlooms that are ugly and impractical but hold too many memories to throw out; ornaments which have moved from one house to another to another and are too dated to ever see the light of day again; footwear that your youngest child hasn’t been able to squeeze their feet into for twenty odd years and paint from three makeovers ago that you held onto in case you ever needed to touch up the walls! Unlikely to pay off the mortgage admittedly but you never know…………..